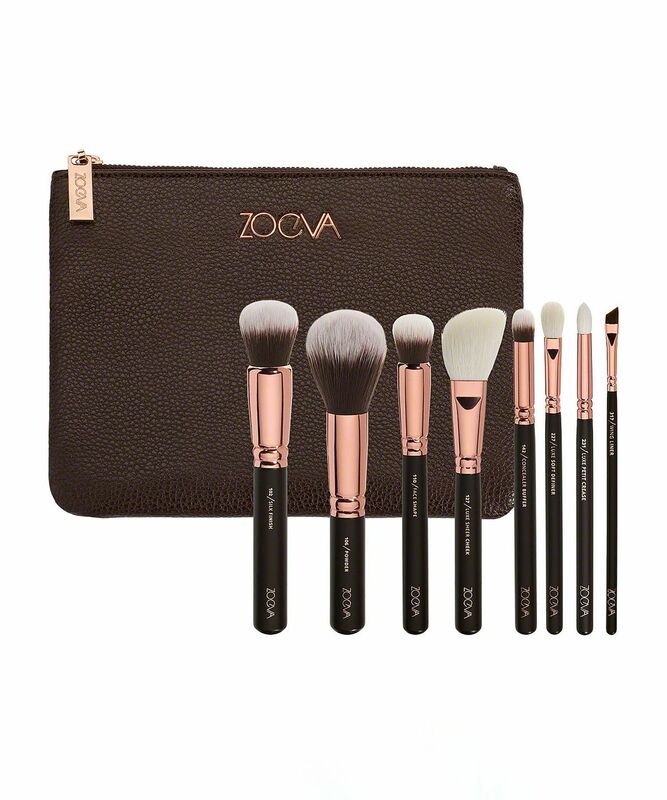 If ever there was a brush set worthy of a prima donna, it’s ZOEVA’s Rose Golden Luxury Set Vol. 1 Encased in a sleek chocolate brown clutch, this features an essential edit of brushes with a Pinterest-worthy rose gold design, that are as high-performing as they are photogenic. It includes one of our absolute favourite ZOEVA brushes: 127 Luxe Sheer Cheek with a specially slanted brush head that effortlessly hugs the cheekbones. Indeed, all eight of these brushes have been expertly designed to enable you to blend and buff like a pro. It’s the perfect gift for a make up maven or just an indulgent treat-to-self. 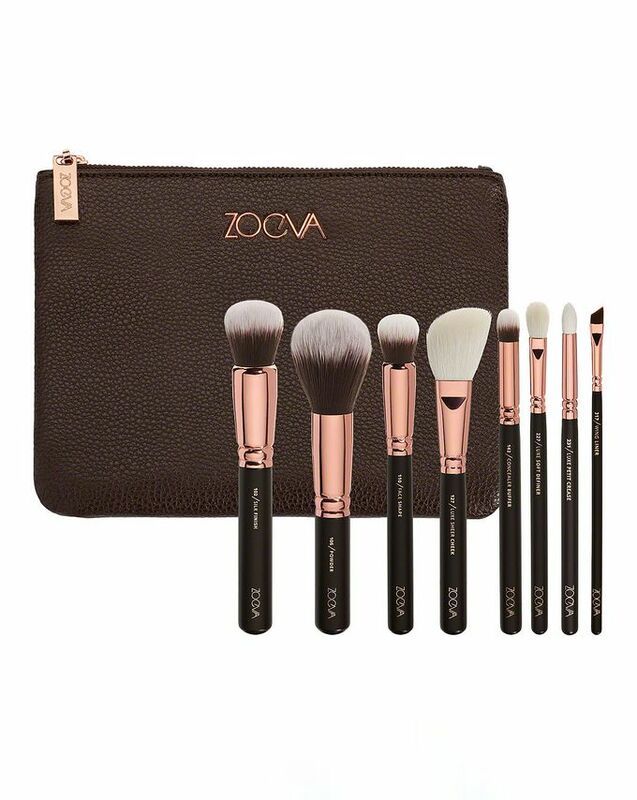 If you’re delving into the world of make up brushes, or just after a comprehensive capsule brush kit, ZOEVA’s Rose Golden Luxury Set Vol. 1 ticks every box. It comprises the 106 Powder brush; 102 Silk Finish for foundation; 110 Face Shape for contouring; 127 Luxe Sheer Cheek for powder blush and 142 Concealer Buffer to delicately disguise imperfections. And for the eyes, there’s the 227 Soft Definer for seamless eyeshadow blending, 231 Petit Crease to define the brow bone and 317 Wing Liner for the perfect cat’s eye flick. ... They are a bit too dense for my taste. The foundation brush is more moving the product around than buffing it in. The blush brush is very good. Amazing service, amazing brushes, lovely wrapping, I am very pleased with this purchase. Perfect set for everyday makeup. The selection of brushes inside is all I need when doing full face make up. would definitely recommend. Absolutely gorgeous set. Same high quality you can expect from the brand, really good value, even compared to individual brush prices and the bag is really nice too. I’m truly very impressed with these brushes. ESP this little brush for concealer. After all these years my concealer looks better than it ever has. Which is very odd because you just think that’s how it looks. Then you try this brush and it’s a different story. Feel great, sturdy, super soft, great after washing and fantastic for what they’re meant for. Great buy. I bought this brush set when there was a £50 deal - as a young teen this was quite the splurge. It was worth it because the quality and utility of the brushes are absolutely outstanding! The only fault is that over time the metal part of the brushes begin to rust. Apart from that all the brushes serve their purpose really well and I'm so glad I spent my money on these and not cheaper alternatives.